Does anyone feel that considering how many years the public had the pleasure of viewing 500GP, that the factories never delivered on a full-blooded 500GP replica of the 90s? With this statement, I am my no means talking down or discounting great bikes, such as the Suzuki RG500, Yamaha RZ500 and all the great 250 two-stroke V-Twins. I own an MC28 NSR250 and can certainly say they’re a lightweight missile on road! But what I am getting at is that idea of a V4 500 housed in a modern twin-spar alloy frame, slick fairings sporting the shape and colours (I am certainly not a cigarette smoker, but I must admit, some of the cigarette sponsorship colours like the Rothmans Paintjob and Lucky Strike were smoking hot! – Pun intended) of the 500cc heroe’s bikes, twin chambers tucked off the side of a gull swingarm and two more seated nicely in the ducktail. All the little things that made the golden era of 500GP cool. Heck, if they’d shoehorned V4 engines into RGV250, NSR250 or TZR250 chassis’, that would more than have sufficed plenty of folk’s appetites, as the sweet 250s of the 90s had a lot of the 500GP spirit. 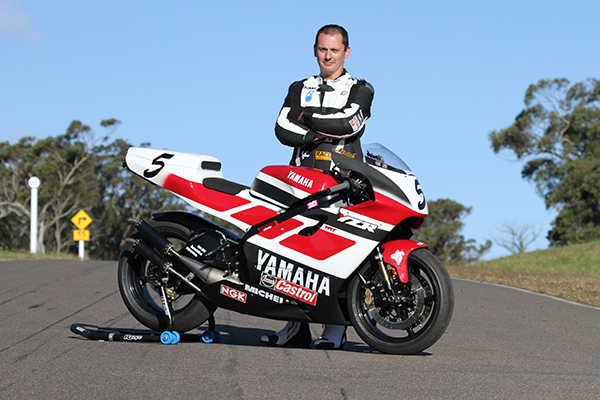 If you search across the internet, you can find forums upon forums of two stroke fans that have homebuilt beautiful 500GP replicas with RZ500s, RG500s and even done engine conversions into more modern chassis’, such as RGV250s, RS250s and even R6s. Some of these are done so well that at first glance, you’d genuinely believe that you were looking at a road-registered YZR500 Factory race bike! Definitely one of the best replicas I have ever seen, built by Costin Motorcycling Engineering in Sydney, Australia. So although I have my doubts that we will ever see a new 500cc V4 two-stroke enter a showroom of one of the big 5 manufacturers, I figured dreaming! 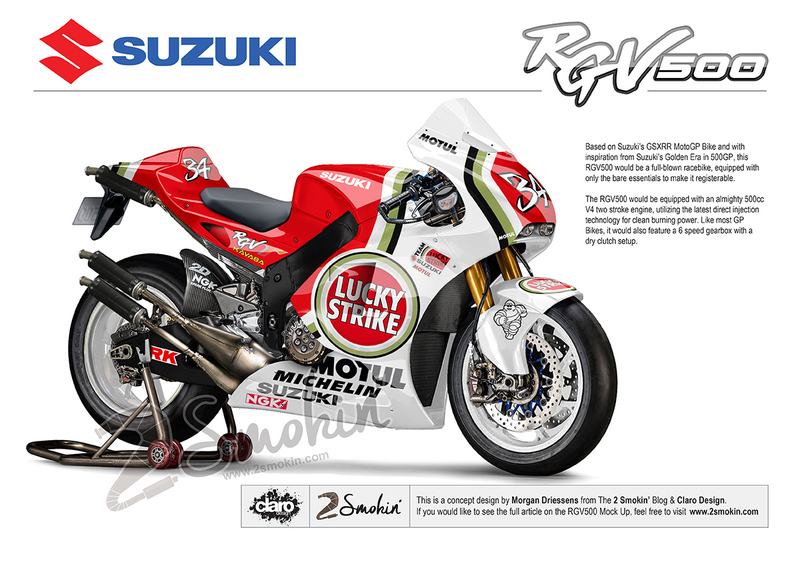 I decided to do a mock up of what could be if Suzuki decided to be a legend, take one for the team and produce a modern, badass 500 smoker. A mock up of a modern, retro 500cc two-stroke. Based on Suzuki’s GSXRR MotoGP Bike and with inspiration from Suzuki’s Golden Era in 500GP, this RGV500 would be a full-blown racebike, equipped with only the bare essentials to make it registerable. If they went into production, basing the bike around a GSX-R600 or similar would probably be vastly more cost effective than using componentry from a factory MotoGP Bike, but I figured since we are focusing purely on the drool factor, this isn’t going to be an issue. The RGV500 would be equipped with an almighty 500cc V4 two stroke engine, utilizing the latest direct injection technology for clean burning power. Like most GP Bikes, it would also feature a 6 speed gearbox with a dry clutch setup. 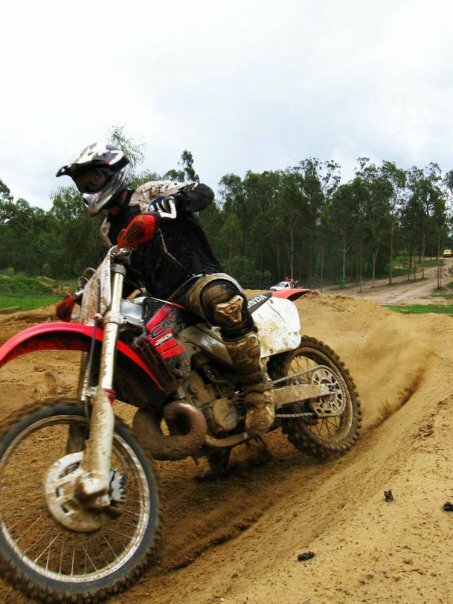 The bike would also have to feature some type of traction control, making the bike more pleasant for the Average Joe, of course with an option to turn it off…..For those who feel like taking the chance of ripping the throttle a tad too hard, feeling the back step out, getting tossed over the front of the bike and having their collarbone shattered against hard bitumen. At this stage, who knows what the fate of the two stroke will be. 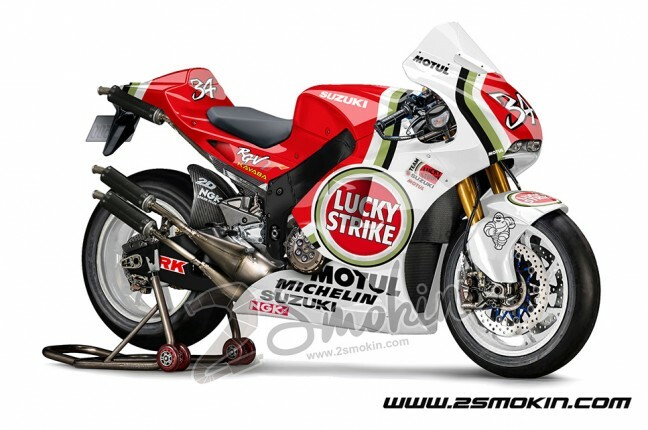 But one thing I do hope to achieve with this design is whether or not a Japanese Manufacturer decides to bring out a 500 two-stroke, I hope this mock up might inspire another individual to build their own fire-breathing GP Replica! Let’s wait and see.